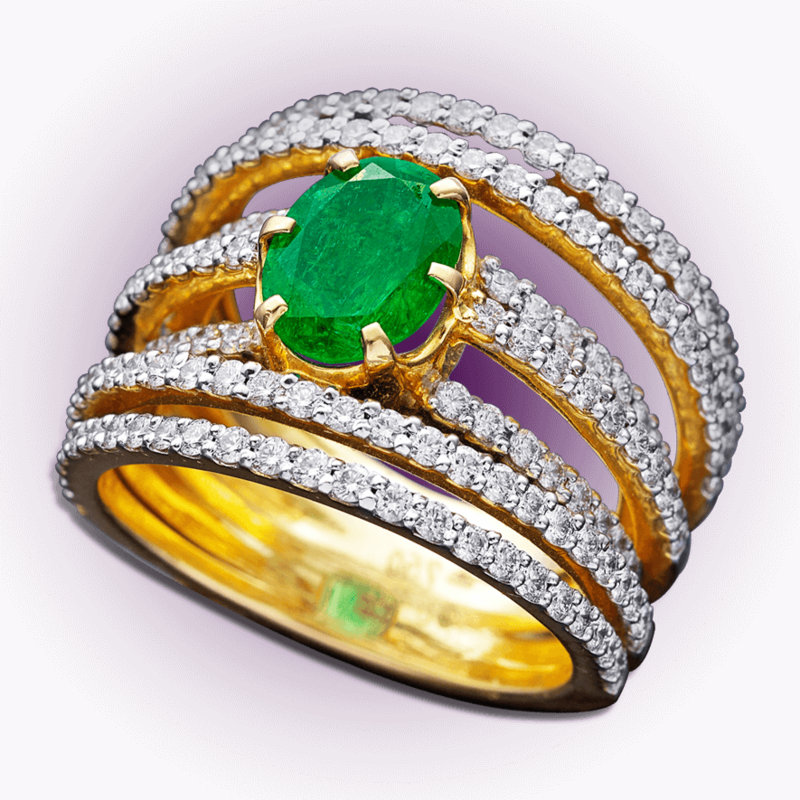 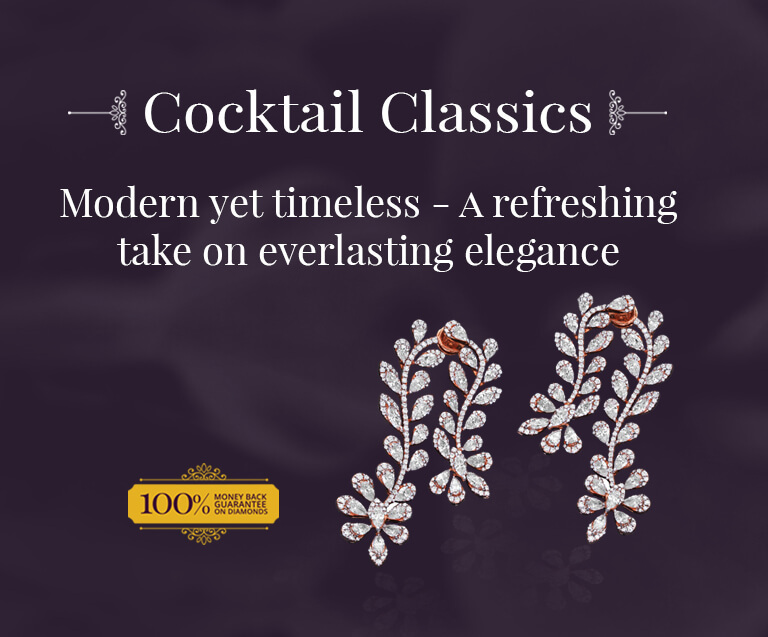 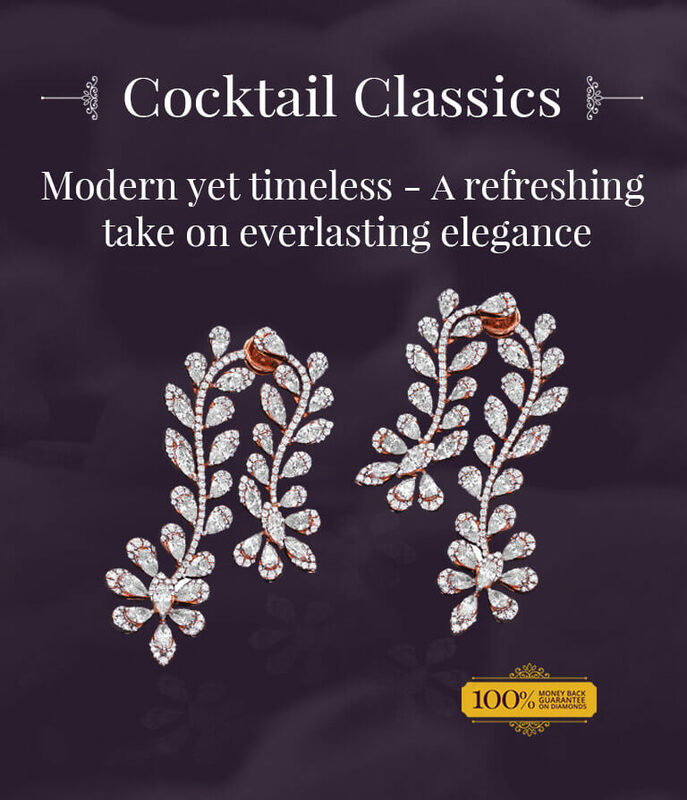 Quintessential cocktail ring 18k yellow gold craftsmanship Rows of brilliant round cut diamonds line the circumference Remarkable emerald gemstone adds grandeur for the perfect evening look . 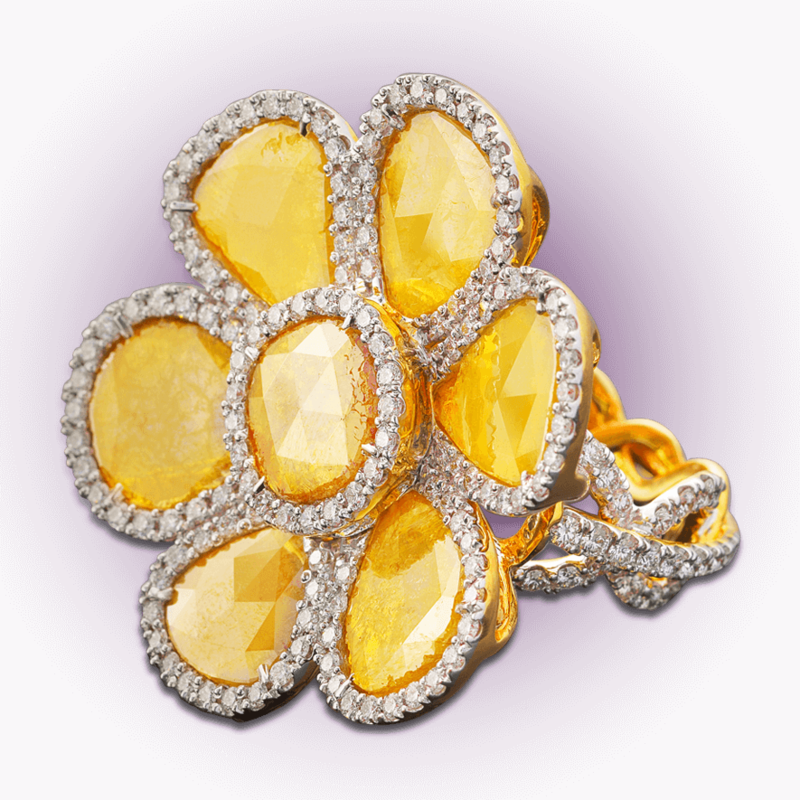 . .
Floral motif 18k open setting yellow gold ring Yellow diamond chips petals Lined with brilliant round cut diamonds. 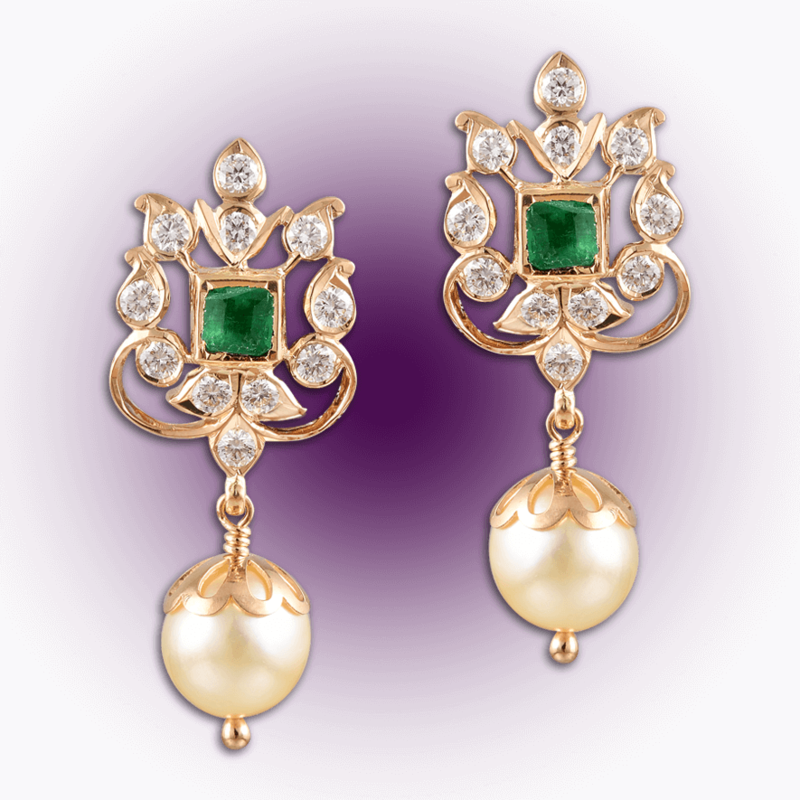 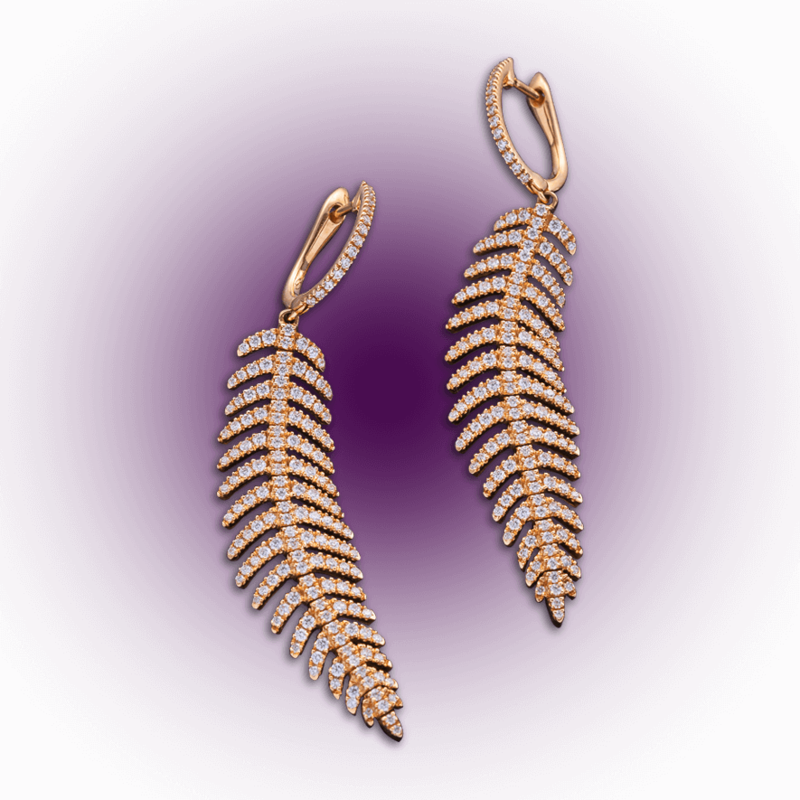 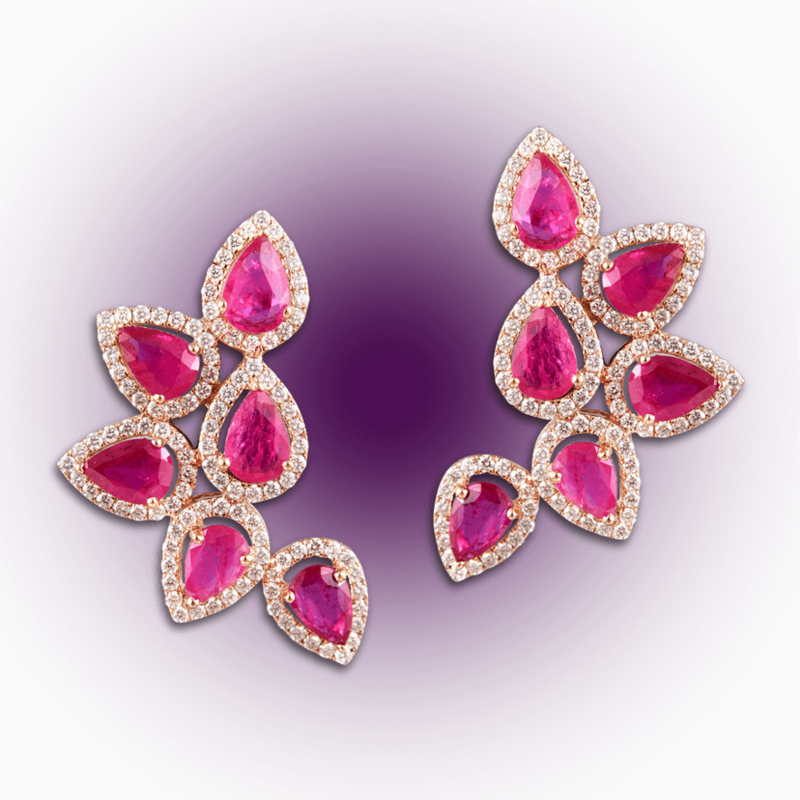 Beautiful blooming flower design that sparkles with charm . 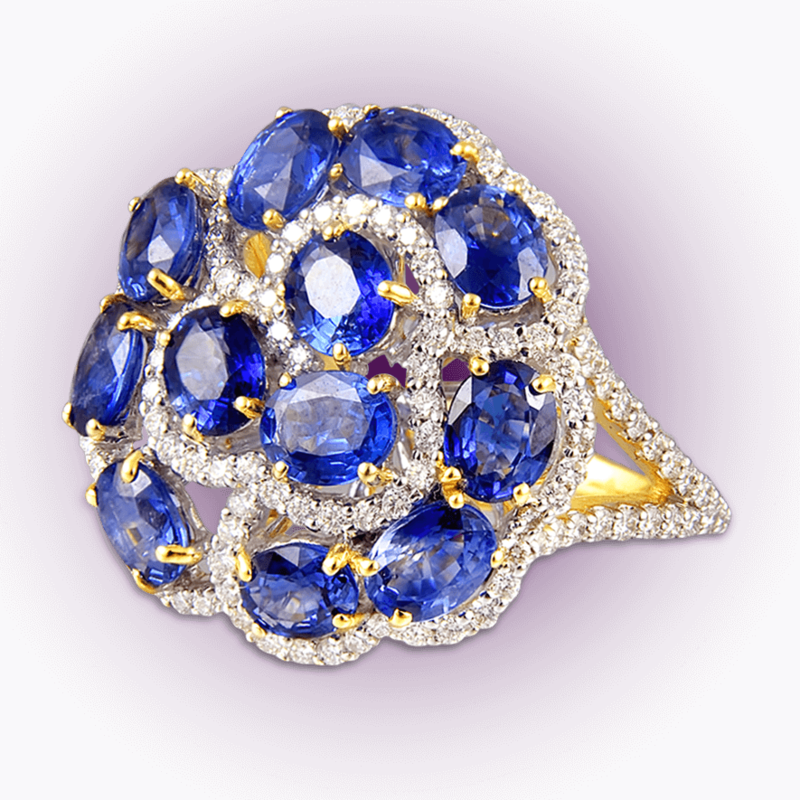 . .
Radiant eye-catching cocktail ring 18k open setting yellow gold design Gorgeous blue sapphires are the unabashed focus of this ring Brilliant round cut diamonds complement the striking sapphi. . .